You can take the girl out of Ohio, but you can’t take Ohio out of the girl. I am, and always will be, an Ohioan. This means I am a diehard Browns fan, which is not an easy thing to be down here in Florida. I crave the Coconut Bars from Archie’s Bakery and am still trying to recruit a Clevelander to fly down with a box. So far, no takers, but I am the eternal optimist. And I would love Michael Symon to open up a Lola Bistro location down here, as it is a to-die-for restaurant in downtown Cleveland. As you have probably figured out, I am a tad homesick for all things Ohio. Growing up there, I was fortunate to know a candy store named Draeger’s, which unfortunately closed its doors several years ago. I used to love their hot fudge sauce and chocolate turtles. To this day I still have a jar of Draeger’s hot fudge sitting in my refrigerator. I know that it has long since expired, but I can’t throw it away. 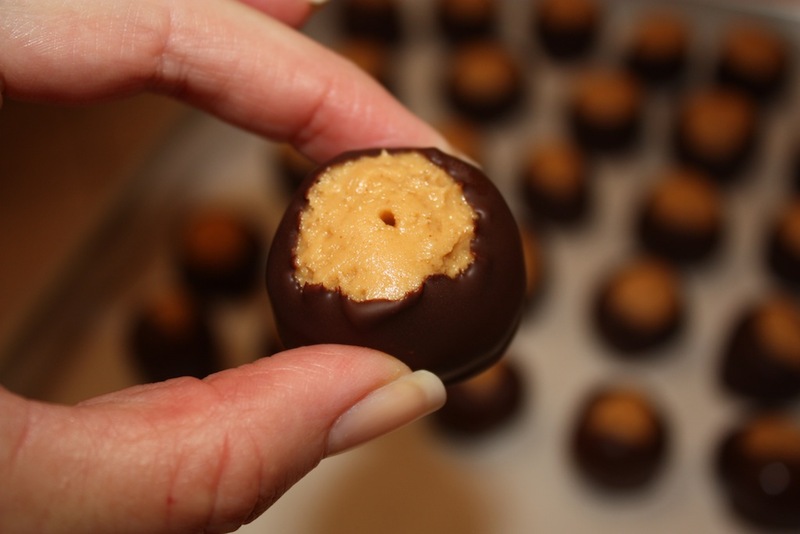 One food item I never tried was a Buckeye. I know the Buckeye tree is the official tree of the great state of Ohio, and I know that those who attend Ohio State University are called Buckeyes. Beyond that I could never have given you any other information about a Buckeye. All that changed a couple of weeks ago. I was at a fellow Clevelander’s home and she was telling me about another Cleveland friend who had a recipe for Buckeyes. Luckily, she shares recipes. 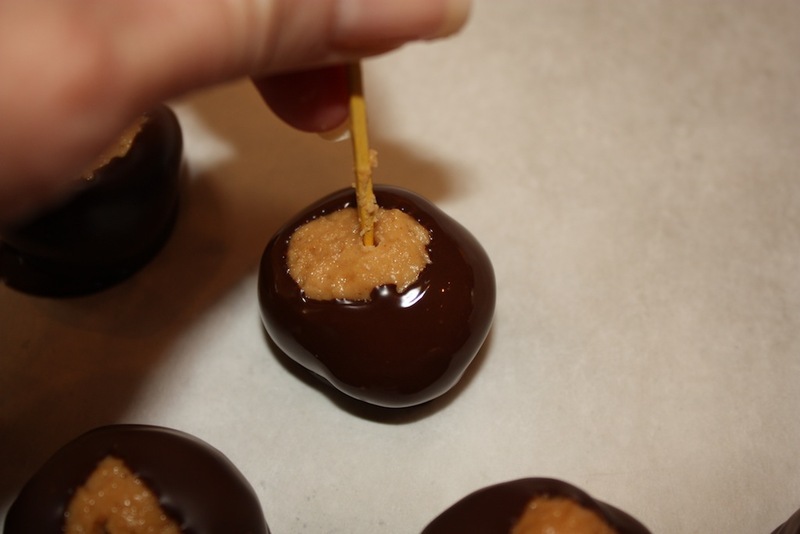 Honestly, I thought I was getting a recipe for a cookie, but quickly learned that Buckeyes are candies shaped to look like the nut of a buckeye tree. 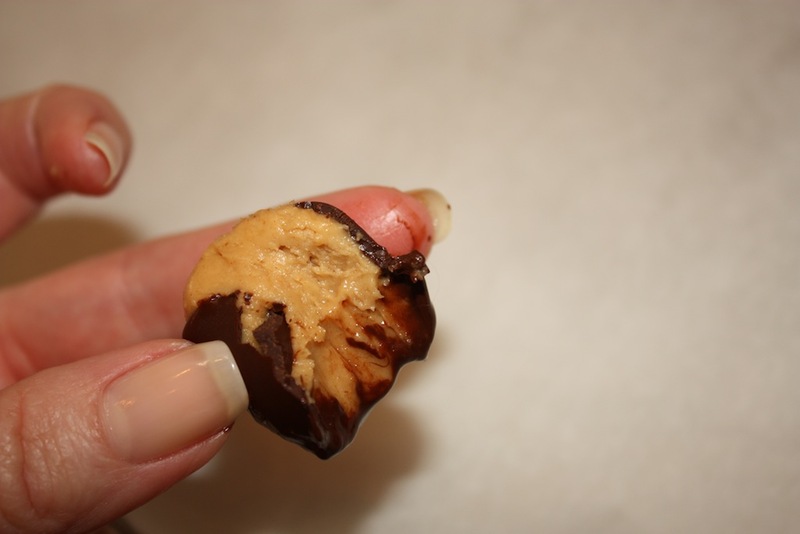 Shoshana has a point there, but they seem like so much more than a peanut butter cup. 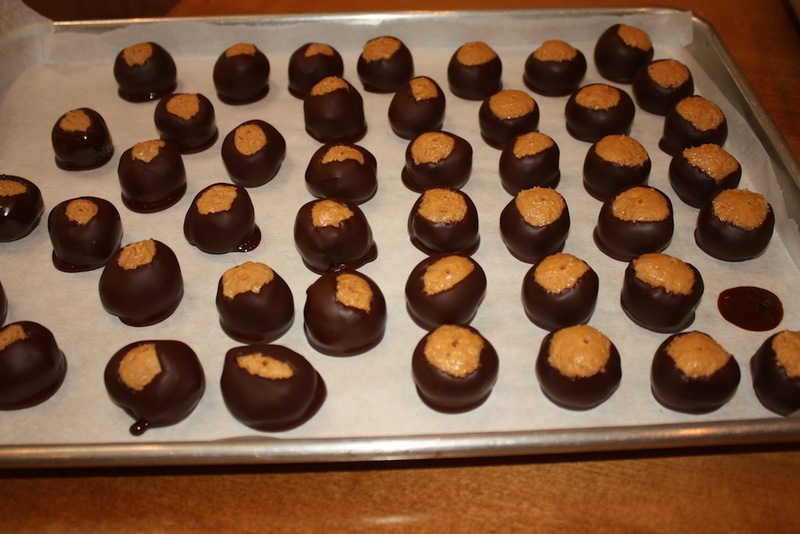 What my darling daughter does not realize is that when I make Buckeyes, I am connecting to Ohioans. Probably sounds weird, especially since I did not even know what a Buckeye candy was before a week ago; but I find comfort in it. So, until I find that incredible friend who will bring me Archie’s Coconut Bars or one of Archie’s cakes, I will have to make my own Ohio food connections right here in sunny South Florida. The peanut butter and chocolate combination has always worked for me. Now I have a sentimental reason to love it even more. 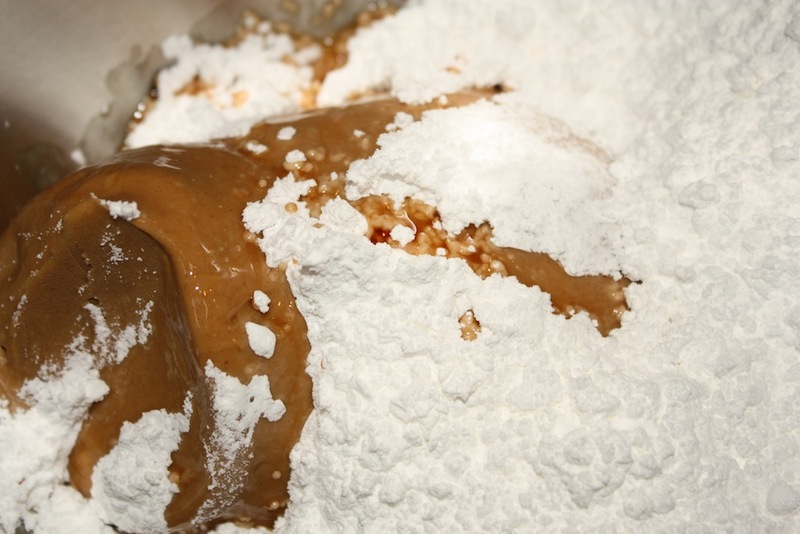 Place the peanut butter, butter, confections sugar and vanilla into a large mixing bowl. Beat until smooth, scraping down the bowl as needed. 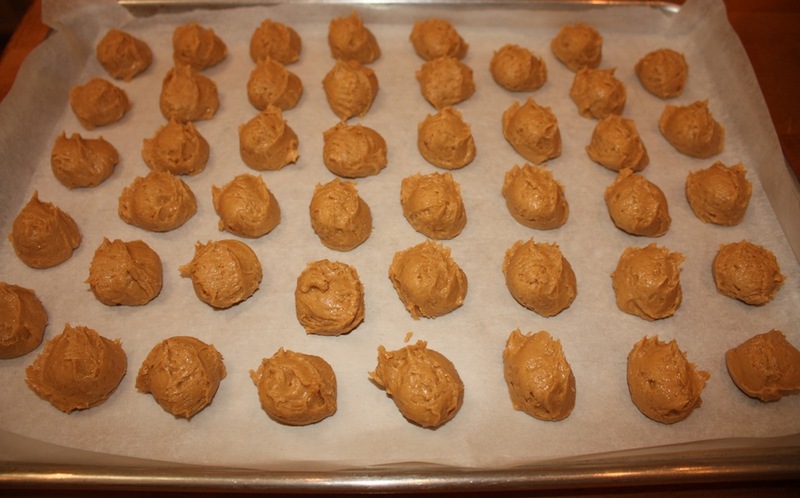 Use a small cookie dough scoop to measure out the balls onto one of the baking sheets. They may be very close to each other, as they will not be spreading. They will be too soft to shape evenly at this point. 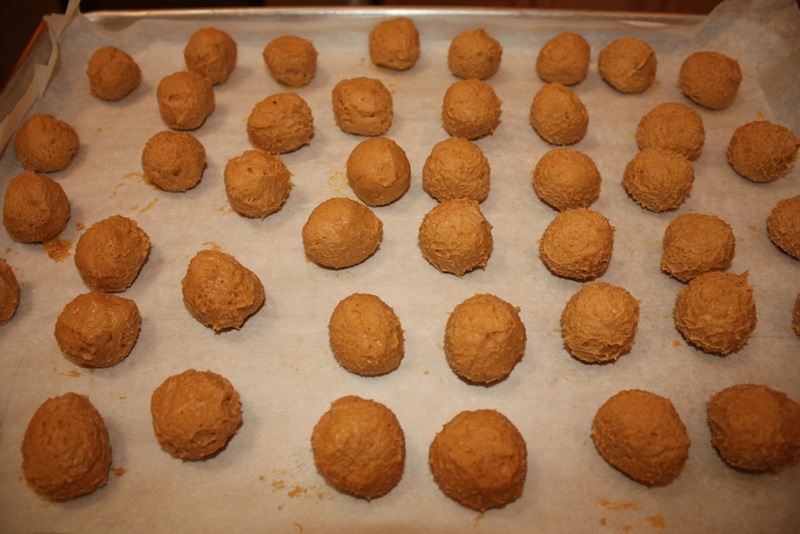 Freeze for 1 - 2 hours, until the scoops are firm enough to be rolled into balls. Insert a toothpick into a ball. 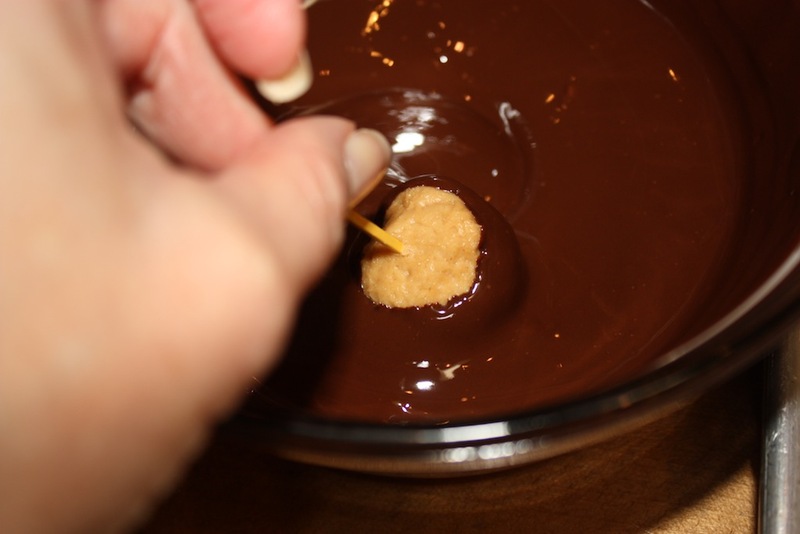 Dip the ball into melted chocolate and swirl it around, holding onto the toothpick, so that only a bit of the peanut butter remains exposed. 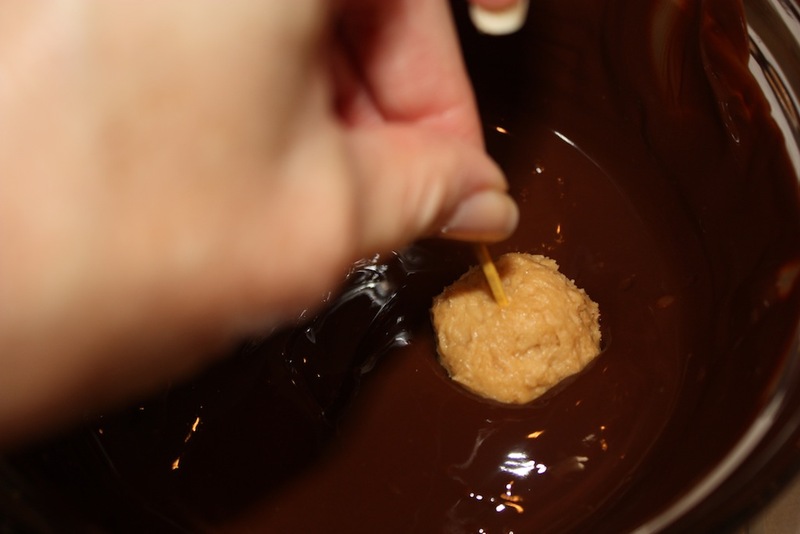 After dipping the balls, place them on the second lined baking sheet and remove the toothpick. 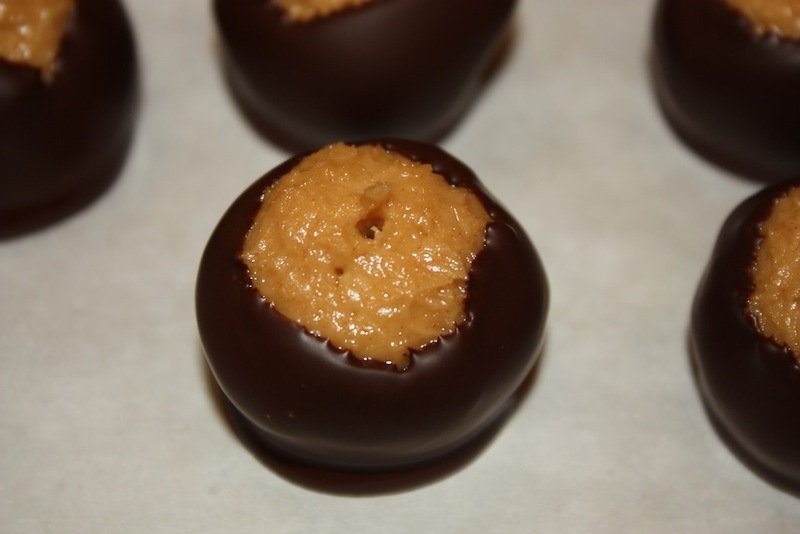 Buckeyes will resemble the look of a buckeye nut with the light brown color of the peanut butter ball peeking out from the top of the dark chocolate shell. 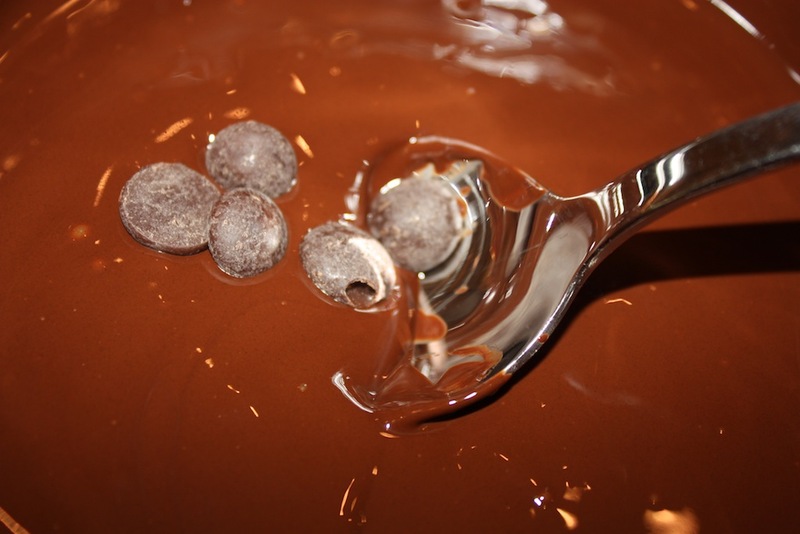 Milk and semisweet chocolate may be used instead of bittersweet chocolate. Additional time is needed for freezing the balls. This sounds fabulous! I’m going to attempt them tomorrow. I should experience great success, primarily because the oven seems to be neglected. Please share your preferred peanut butter brand. I wish that I could say that I have a preferred brand, but I do not. 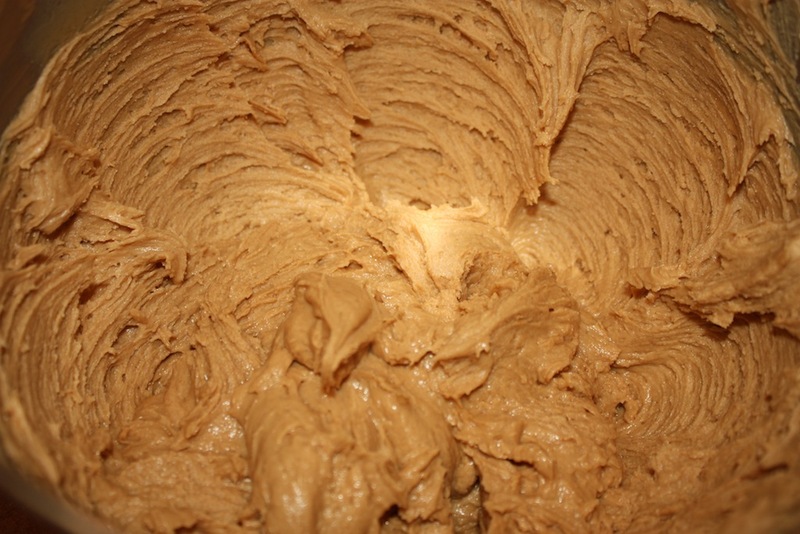 I shy away from the ‘all-natural’ peanut butters, at least for baking, as I do not find the results are what I am looking for. My husband is a peanut butter fanatic. I have to buy 2 of the 64 ounce Skippy jars at Restaurant Depot at least once a month. And Buckeyes have always been a favorite for him. I have not made them in quite awhile, so he will be very happy that you reminded me to make them again. Thanks Susan. You are married to a man with excellent taste! Oh my! These are totally incredible. 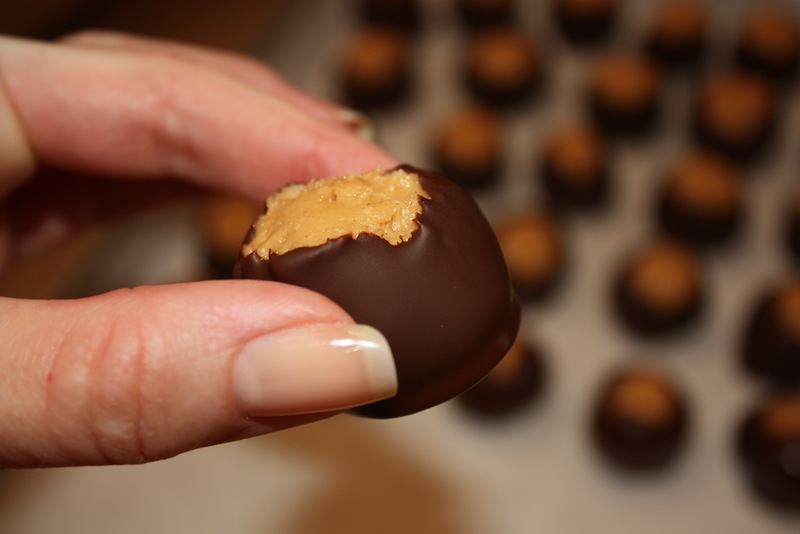 I had never eaten a Buckeye before, so I had no idea of whether to eat them out of the freezer or out of the ‘fridge. 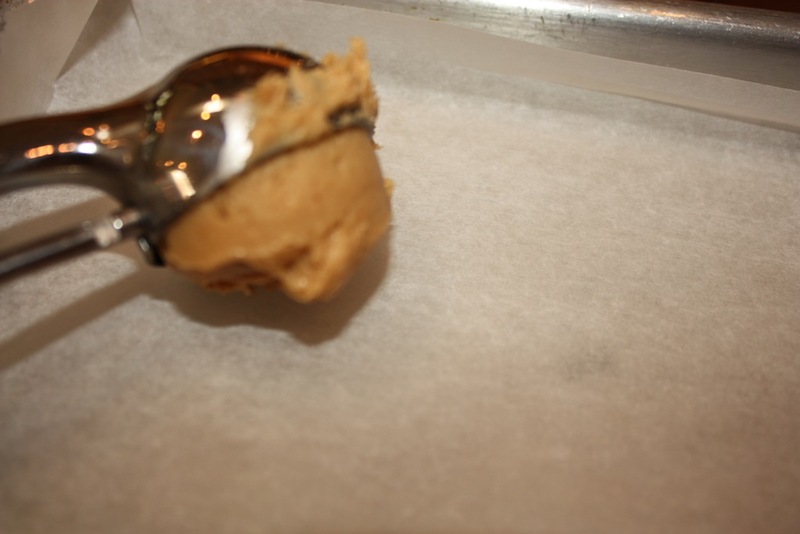 Since I had them in the freezer, I decided to see what one was like right from there; then, if I didn’t like it that way, I’d put them in the refrigerator and wait a bit and take one from there. They never made it out of the freezer. 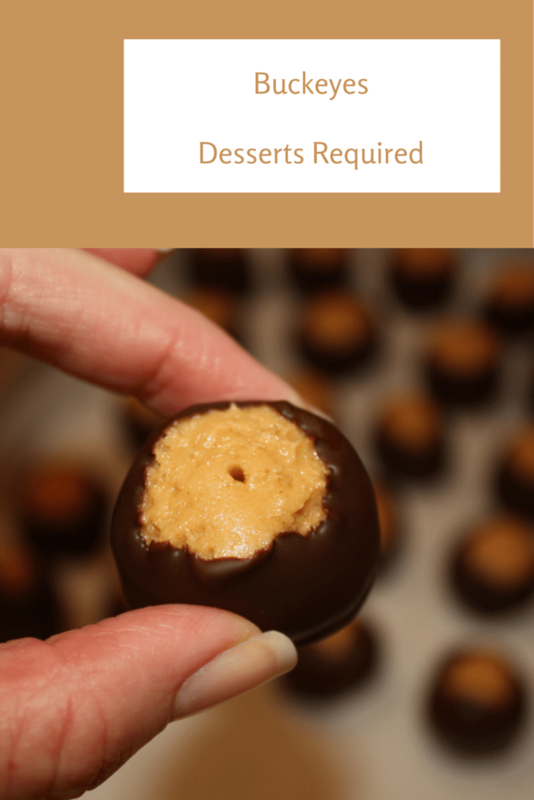 I could not believe I could bite into the peanut butter filling and, literally, have it melt in my mouth and at the same time bite into the hardened chocolate. What a combination! And easy beyond belief. 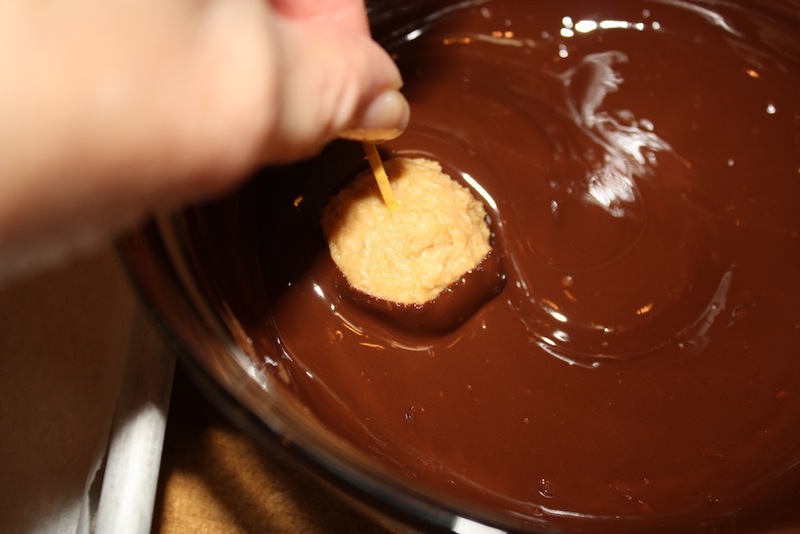 The one thing that was out of the question for me was rolling them into a neat little ball before dipping them into the chocolate. I had more in the palm of my hand than I would have had in the ball. So, they got dipped in the same shape in which they were dropped from the cookie scoop and I decided that gave them character. Everyone was thrilled with them. No one could eat just one; Buddy Hackett was right, even if they weren’t potato chips. I love, love, love these comments. I feel the exact same way about Buckeye’s. Who knew how smart Buddy Hackett was (even if he was eating potato chips instead of Buckeyes!)??? Hi Bets. I want to make these for the NCAA championship game next week. 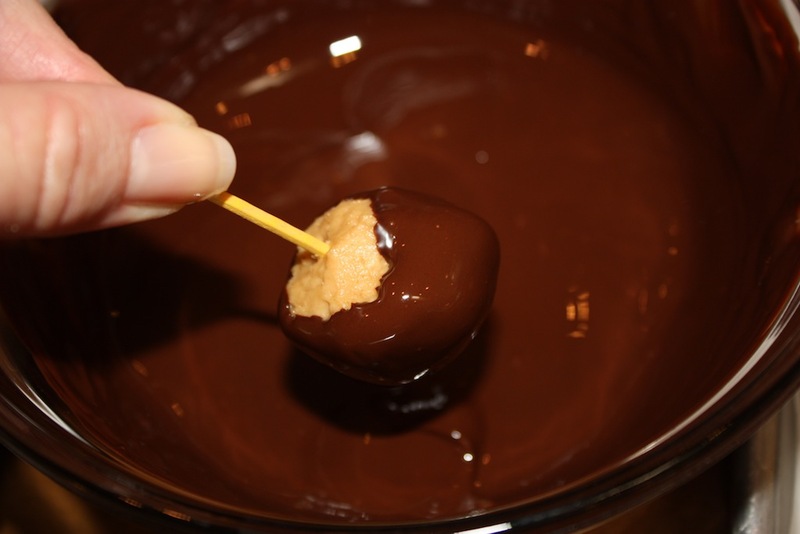 Can I use milk chocolate chips instead of bittersweet? 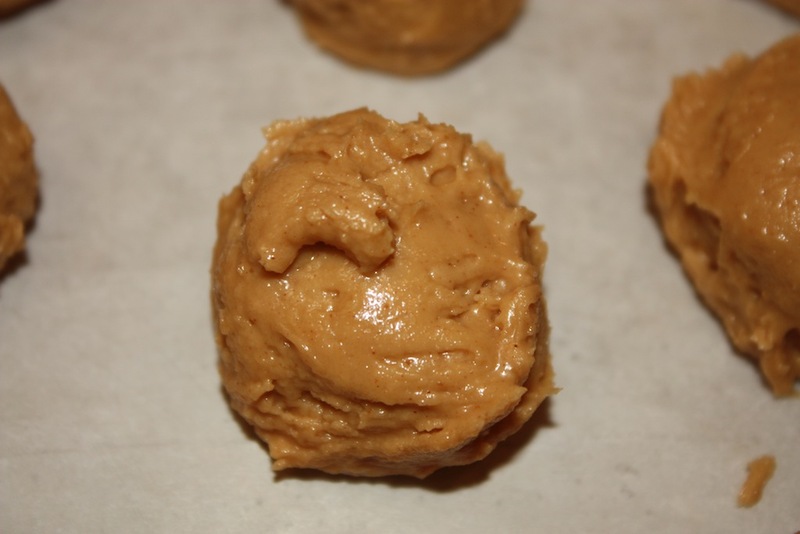 Are you recommending the bittersweet because the peanut butter mixture is so sweet and the bittersweet helps balance the sweetness? It is, truly, a personal preference to use bittersweet chocolate. 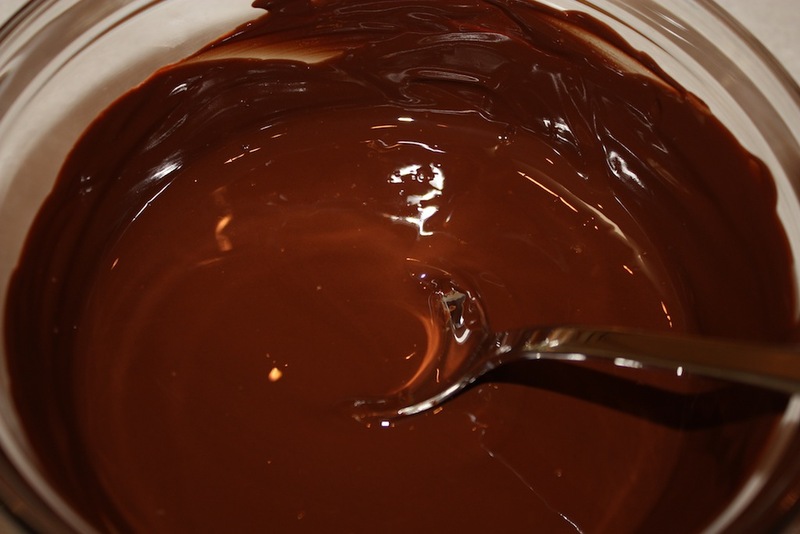 Milk chocolate will be just as delicious and I would not hesitate to substitute it in this recipe. Thanks for asking and happy Buckeye making. I love these but I’ve never made them.. I am going to give it a shot. Thanks!